Unlike other video-based sites, DVD's or instruction books, ArtistWorks offers much more than one-sided learning. Students of any level can send videos of them practicing and receive personalized video responses from their teacher with feedback and individualized instruction. These videos are then posted for the entire school to view and learn from as Video Exchanges™. No particular skill level or experience is required to learn on these sites, the video lessons cover everything a player needs to learn. 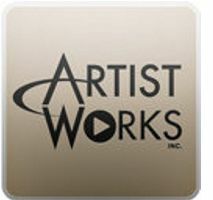 ** Visit the ArtistWorks stand (E15 – Hall E) at 2012 Winter NAMM Show in Anaheim, California,19-22 January.